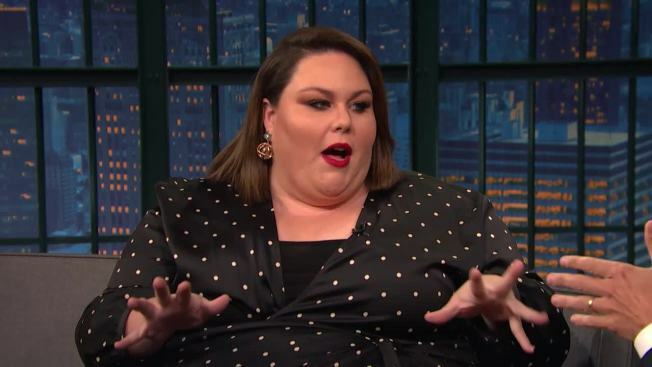 "This Is Us" star Chrissy Metz writes about her early struggles with weight and poverty and her later success as an actress in her new memoir. In an excerpt from the book "This Is Me," appearing in the April 2 "People" magazine, the 37-year-old describes growing up poor and overweight in Florida. She writes about her first kiss, but says the boy would not acknowledge it in public. She moved to Los Angeles in 2003 to pursue her dream of becoming an actress. She says her role as Kate in the NBC drama has changed her life and she is "embracing the idea that people could be inspired by me."